Very beautiful manicure!! Love it very much! Wow! Your version of these is so pretty yet it seems kinda easy in the tutorial. 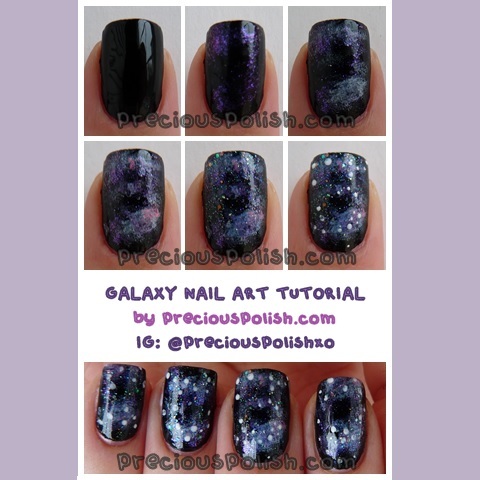 Just yesterday I was looking for some tutorials on galaxy nails and i didn't see yours! But it's okay, I just tried my own version of it !